I have a really positive, effective working relationship with my manager and life is good! My relationship with my manager is a not as good as I would like, but with a little attention it could definitely improve. My manager and I do not ‘fit together well’ and the tension in our working relationship is stopping me from achieving my best. If things don’t change with the relationship with my manager, then it might reach a point where I need to move on. I actively have to manage the relationship with my manager – so I can ensure they know what is going on, and I can take a bit more control of my career path. I feel quite disempowered by the way my manager treats me, but I don’t know how to make things change?. The relationship you have with your manager is one of the most important working relationships there is! You have a good understanding of the other person and yourself, especially regarding strengths, weaknesses, work styles and needs. You use this information to develop and manage a healthy working relationship – one that is compatible with both people’s work styles and assets, is characterised by mutual expectations and meets the most critical needs of the other person. Reflection activity to help you work more effectively with your boss. If you would like to improve the relationship you have with you boss, download this attachment which is an extract from our ‘Managing Up and Across’ course – focusing attention on how you can work more effectively with your boss. To do this, you must first take the time to understand your boss. For example, consider : What are their goals and priorities? What are their pressures and challenges? What does their boss expect of them? What are the organisational ‘hot buttons’ right now? What do you think they are particularly good at? In what areas are they less strong? What are their ‘blind spots’? Then think more deeply about how your boss likes to work with you. And then do the same for yourself -How would you answer these questions for yourself? What are your priorities, pressures, ‘hot buttons’? What do you need from your boss? And what are your preferences for how to work together? And then make a time to chat about this with them…it is essential that you develop a mutual understanding around how you want to work together. It is important to actually discuss this explicitly. You can develop a way of working that suits both your styles. You can advocate your preferences and expectations and inquire about their preferences and expectations. Just as with all important relationships, you need to put a conscious effort into making this relationship work! Click here to download a simple workbook which helps you work through the steps above. 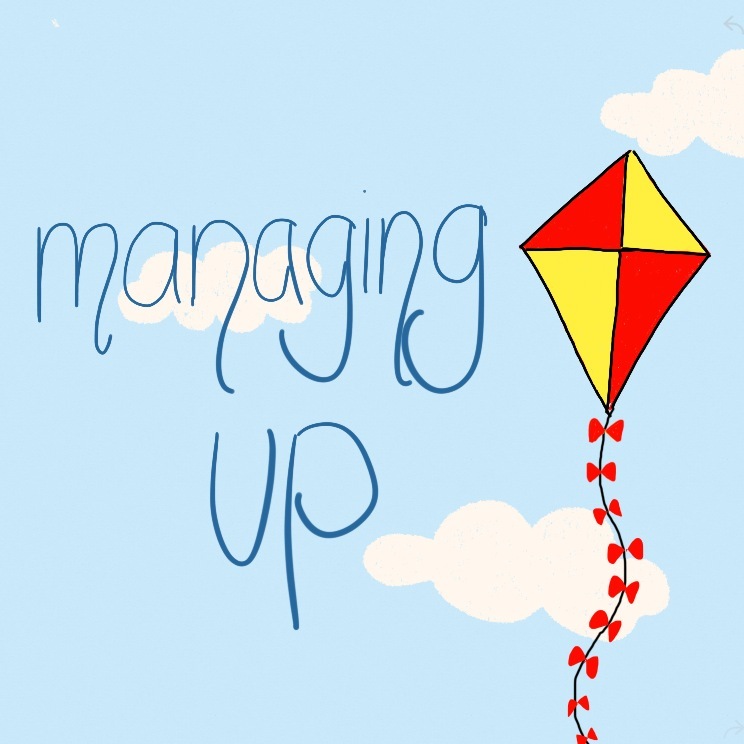 And if you want more information, see our tips and hints guide on ‘Managing Up’ – it offers more practical tips to improve your effectiveness in this area. Click here for a link. We run a one day workshop called ‘Managing up and across’. Click here if you would like to find out more about this course.